How excited are you now? Less than a week to the big day. Obviously if you are a turkey and you are reading this I do appreciate your lack of excitement. However if you are an excited turkey then there is no easy way to tell you, but you’re stupid! it is December 19th and day 19 of this years advent calendar blog posts. We have now reached the letter ‘S’ in the ABC of British bands. 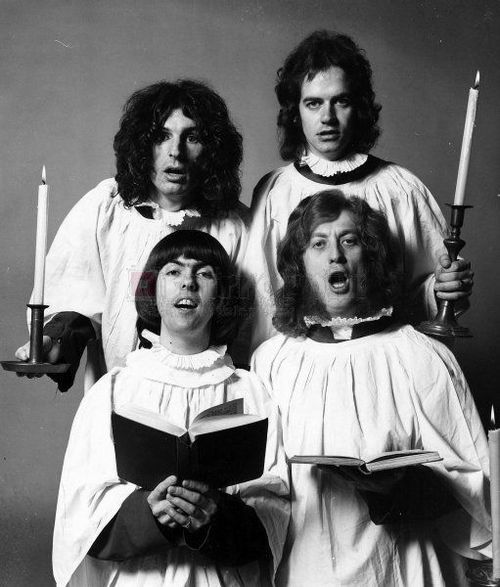 If I were to tell you that you’ll even get a Christmas song included today would it help you guess who the band is? Well it’s Slade! The band all hail from the Black Country in the UK’s West Midlands coming from Wolverhampton and Walsall. In the 60s drummer Don Powell and guitarist Dave Hill were in a band called the ‘N Betweens. 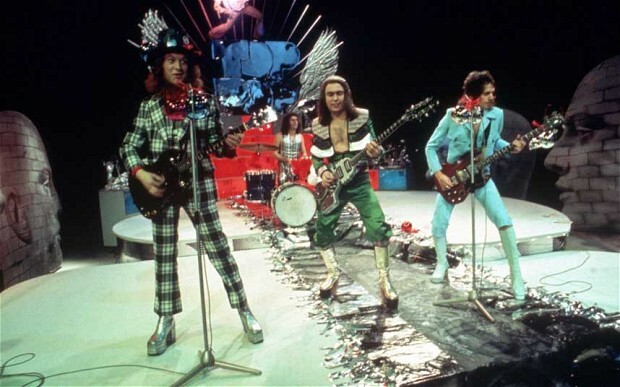 They met Noddy Holder while travelling to gigs and invited him to join as guitarist and vocalist. He agreed at the second time of asking and eventually joined around the same time as bass player Jim Lea. That was in 1966 and the band became Ambrose Slade in 1969. It wasn’t long after that (later in 1969) that they became Slade. their massive success followed soon after. “Get Down And Get With It” was their first UK top 20 hit reaching number 14 in 1971. Shortly after that they had the first of their six UK number one singles with “Coz I Luv You“. That song started a run of 12 consecutive UK top 5 hits running from 1971 to 1974. They also reached the top of the Irish charts six times. Their 1983 song “My Oh My” might only have hit number 2 in the UK but it went all the way to the top in Norway and Sweden. sadly they never really made it big in the USA. 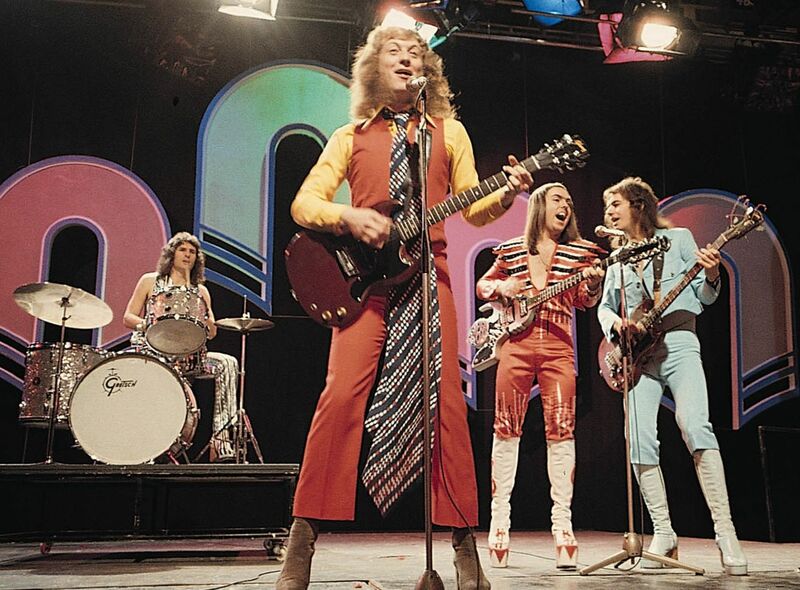 Whilst many people may have seen Slade as a singles band they also climbed to the top of the UK album charts twice; with ‘Slayed’ in 1972 and the with ‘Old, New, Borrowed And Blue‘ in 1974. ‘Sladest’ a compilation album of their biggest hits to date also went to number one in the UK in 1973. 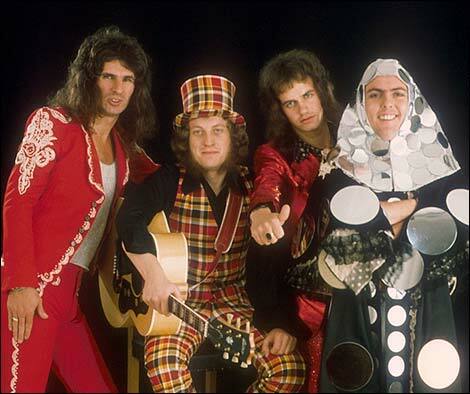 Most of Slade’s biggest hits were written by Jim Lea and Noddy Holder. 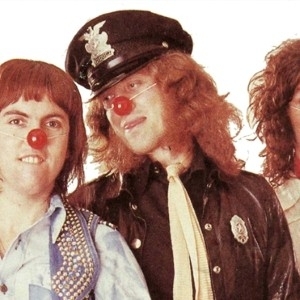 Usually Jim provided the melody with Noddy contributing the lyrics. Dave Hill’s Super Yob guitar is now owned by Marco Pirroni off of Adams and the Ants. Perhaps because of his early days as a keen amateur boxer it was Don Powell who took the hat round after early Slade gigs. In December 2000 Noddy Holder made a brief appearance in long-running UK soap opera Coronation Street. He played a character called Stan who was there to replace the cobbles in the street. OK that’s enough trivia and stuff now it’s time to enjoy a pile of Slade smashes! Happy Christmas everyone and thank you so very much for reading my blog, especially for those of you who have hung in their for all of my UK Christmas Number Ones Advent Calendar posts. With today being December 25th that as they say is that. But I am signing off the Advent Calendar with a real Christmas classic. It still gets played regularly these days as well. 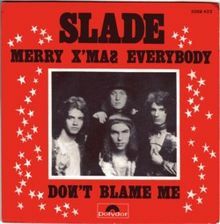 It’s from 1973 and it’s Slade with “Merry Xmas Everybody”. It was number one for 5 weeks in 1973/1974. All very amusing indeed, but Rudolph would like his nose back! 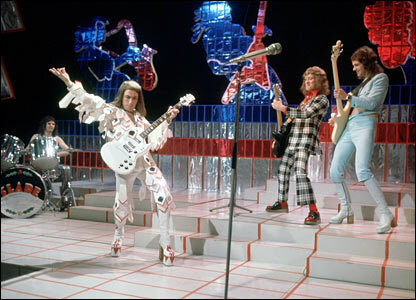 Unlike contemporaries like Mud and the Sweet Noddy and the boys wrote their own songs and this one was written by Noddy Holder and Jim Lea. In 2007 “Merry Xmas Everybody” was voted the UKs favourite Christmas song. The song was recorded at the Record Plant in New York during a small summer US tour for the band. Apparently it was a very hot day in an August heat wave. The echo sound you can hear on the chorus was achieved by recording it in the studio corridor. So that’s it for this years Advent Calendar, any ideas or suggestions for next years advent calendar theme would be welcomed. In the meantime I hope that you all have a wonderful Christmas and a fabulous New Year.